This recipe for Slow Cooker Beef Stroganoff is by far one of the best beef stroganoff recipes I’ve ever made. Fork tender beef in a rich savoury gravy! Winter is the time of year we search for the ultimate comfort food recipes and dig out the old slow cooker. I had a nice sirloin roast to cook and this was the perfect time to try a recipe I had been saved. A favourite Chef of mine is Ricardo. He is a French Canadian Chef who has a wonderful show on the Food Network called Ricardo and Friends. 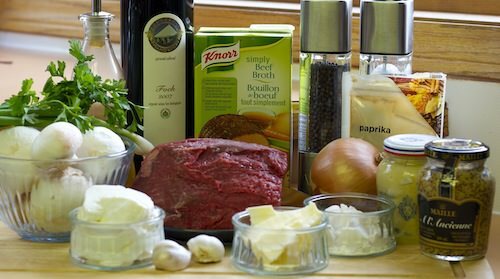 As I was browsing through his cookbooks I came across a great looking recipe for Slow Cooker Beef Stroganoff. My search was over, let the cooking begin! I must say this recipe has to be the Ultimate Beef Stroganoff. The meat was so tender and the sauce full of flavour. The only modification I made to the recipe was replacing plain yogurt with sour cream as that is what I had on hand. I also used both the Dijon and Meaux mustard. Next time I make this recipe I will double it up as it is so good you will want a second helping! 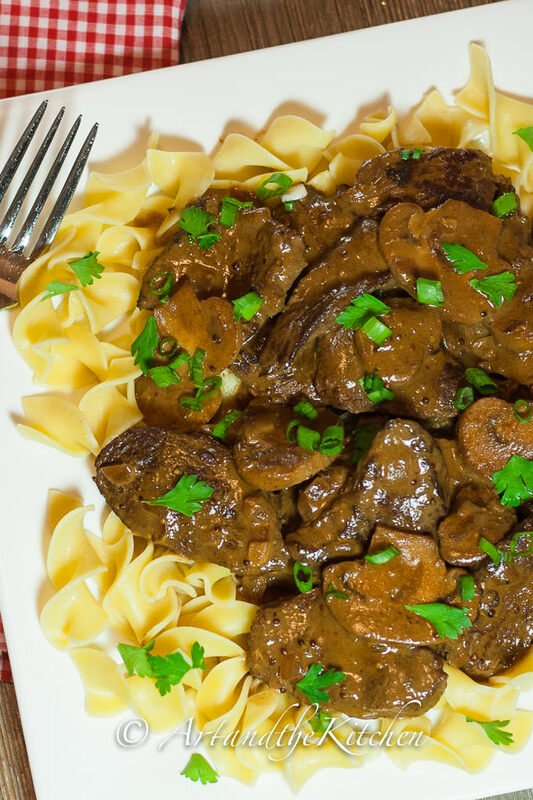 This recipe for Slow Cooker Beef Stroganoff is by far one of the best beef stroganoff recipes I've ever made. Fork tender beef with a rich savoury gravy! Cut beef into slices, salt and pepper. 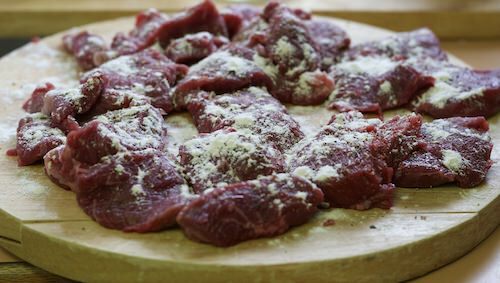 Dust slices of beef with flour. 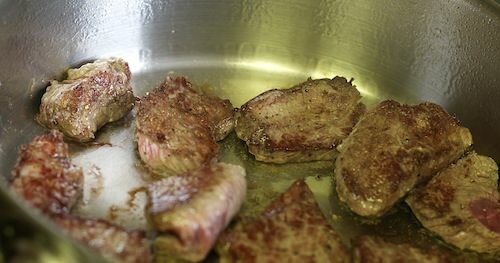 Heat olive oil in skillet, and brown meat. In same skillet add butter, sauté onions, garlic and mushrooms. Deglaze skillet with red wine. 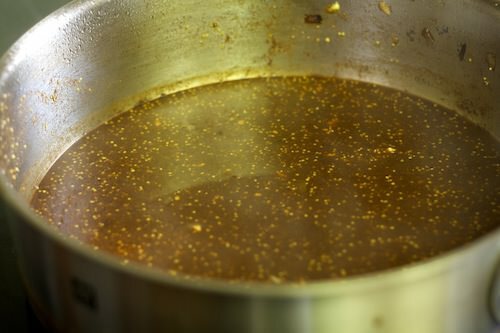 Next add beef broth, paprika and mustards. 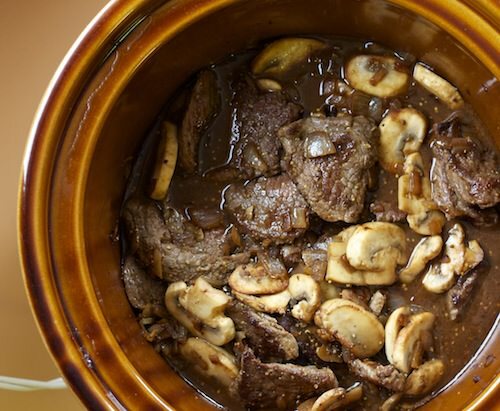 Pour over beef in slow cooker and mix together. Cook on high heat for about 2 hours or low heat 4-5 hours. Garnish with fresh parley, chives or green onions. Serve with egg noodles, or any broad pasta. pour over beef, cook, cover and cook 2 hours high 4-5 hours low. add sour cream prior to serving. Garnish with parsley, chives. This looks amazing! And I like it’s prepared in a slow cooker. thanks Angie, aren’t crockpot recipes a blessing some days. It is delicious and not a lot of prep time. 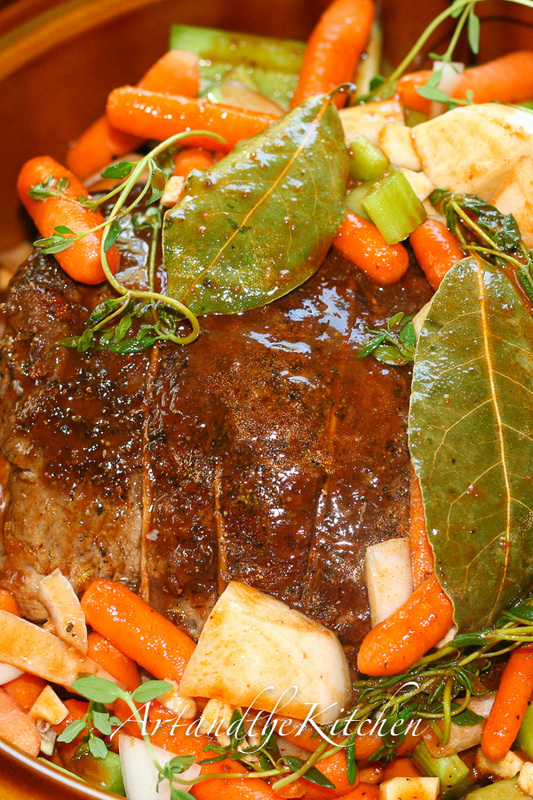 Love your pictures, they look the way I want my food to look when cooked in the crockpot. I believe the prebrowning and cooking of other ingredients helps. What size crockpot are you using? I have a 6 qt and am wondering if I made extra if it would freeze, minus the sour cream. Upon warm up I would add the sour cream. Thanks Kandy, I love opening my email in the morning and see a note of someone that has enjoyed one of my recipes. I think pre- browning really adds some great extra flavour to the dish. The crockpot I use is 6 qt. This would be a great recipe to freeze, and like you said just add the sour cream after its warmed up. Laureen, Ricardo just released all of his slow cooker favourites in a new book. Picked it up from Costco yesterday. Never been much of a slow cooker fan, but love Ricardo so I trust they will be delicious. Thanks for the info, going there this week to buy ! why can’t we print them without all of the pictures? Hello, I have been trying to update all my recipe for easy printing on Ziplist. I have updated this one, so hopefully works for you now. Would you please join Pinterest. I’d like to post this recipe directly to you. Super, let me know how you like it. I usually use something like a sirloin tip roast. I made this with caribou and it was awesome! I bet it was so tasty with caribou! Hi, thanks for the recipe, superbe, did it and i love crockpot meals. Delphine. Awesome, so glad you liked the recipe Delphine. Hi Tanya, I use my slow cooker for multiple uses. 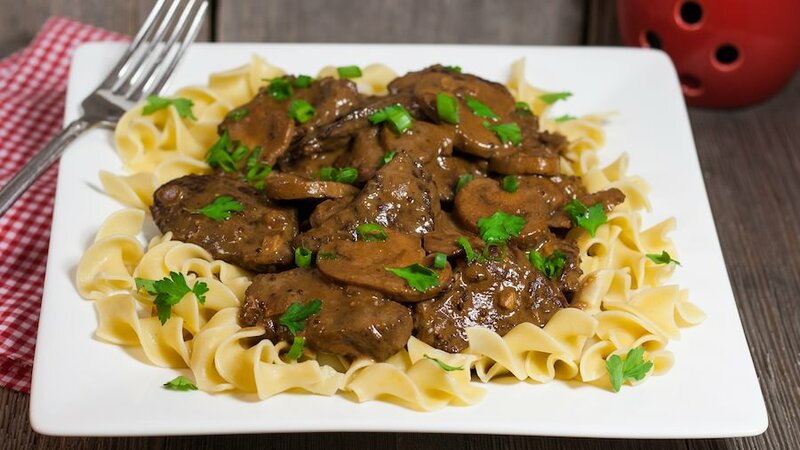 Sometimes for a time saver, ex throw the chicken in and hit start, but I also like using a slow cooker for slow cooking meat dishes such as this beef stroganoff dish which will give you that fork tender beef. 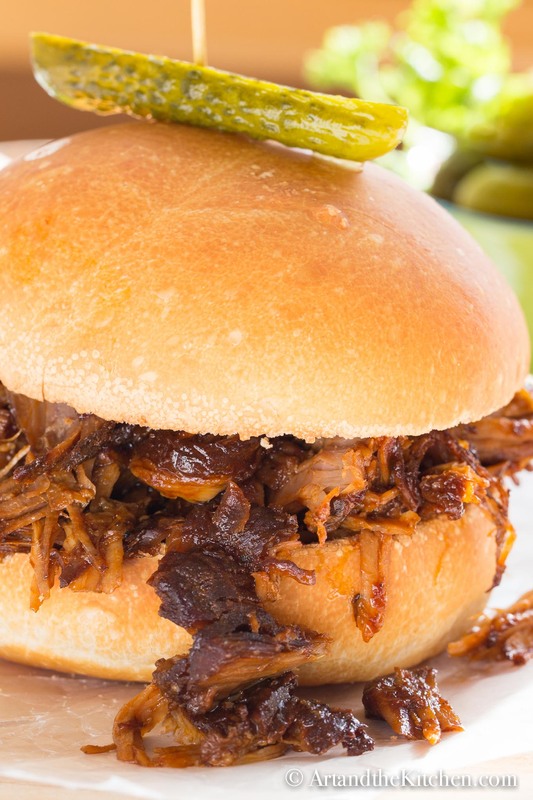 You will find a lot of the best slow cooker recipes take a bit of prep work, which can be done the evening or morning before and then the slow cooker can cook until ready to eat. I am going to try out this recipe tomorrow. 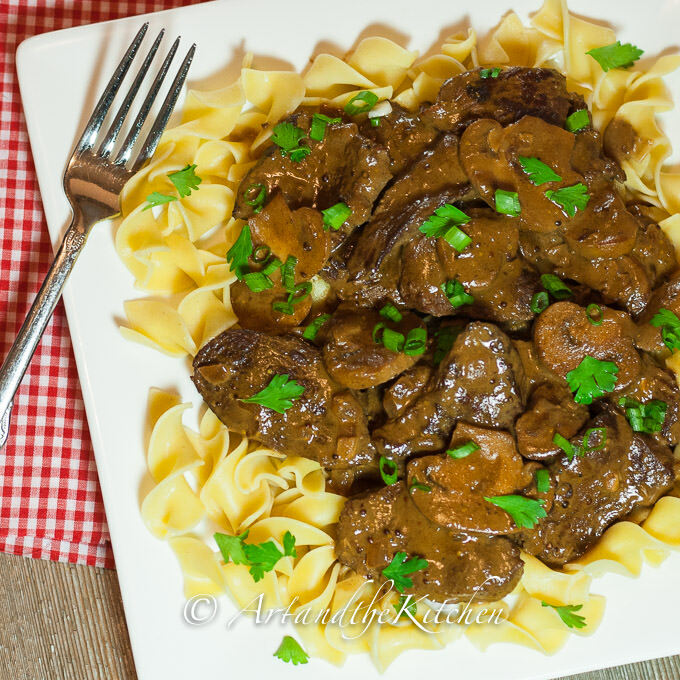 I make beef stroganoff often but thought I would try it with my new slow cooker (crock pot). At first I was thinking along like Tanya, but I am sure the meat will be so very tender this way. Oh my goodness. I am just finished pouring the last into the crockpot and can already tell this is a WINNER. THANK YOU- glad I found on Pinterest! Going to serve on spaghetti squash to lighten us up . Awesome Susan, great idea to serve with spaghetti squash. 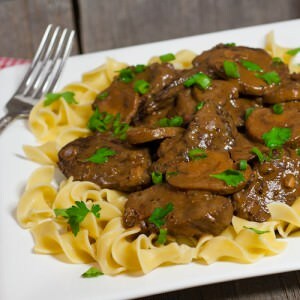 Love the flavor of Beef Stroganoff but do not like mushrooms….can this be made without the mushrooms? Pamela you can leave the mushrooms out and it will still taste delicious! I think this looks great! I’m going to use venison and my slow cooker can be used on the stove (thus losing a extra pan to wash). It sounds delightful. Tomorrow is the big day!!! Thank you! 🙂 I use recipes as a guideline. I’m sure this will be fabulous! Hey Tysh, I can’t wait to hear how it turns out. Like the idea of using venison. Sounds delish! I am going to prep everything right now and then it will be ready to be thrown into the slow cooker on my lunch break tomorrow. Thanks so much 🙂 I will be checking out your other recipes. Love to know how you liked the recipe Koral. Aren’t slow cooker the best. Have made this several times now. Doesn’t matter how much I make. There are never any leftovers. Very tasty. Hi, this sounds wonderful. Just 1 question – what does the red wine do? I’m a Newby at cooking with wine and I want to understand what the red wine does. Please advise. Thank you. Hi Lisa, the red wine add a delicious depth of flavour to the dish. This will be the second time I’ve made this recipe. Love it! So tasty and the meat turns out so tender. 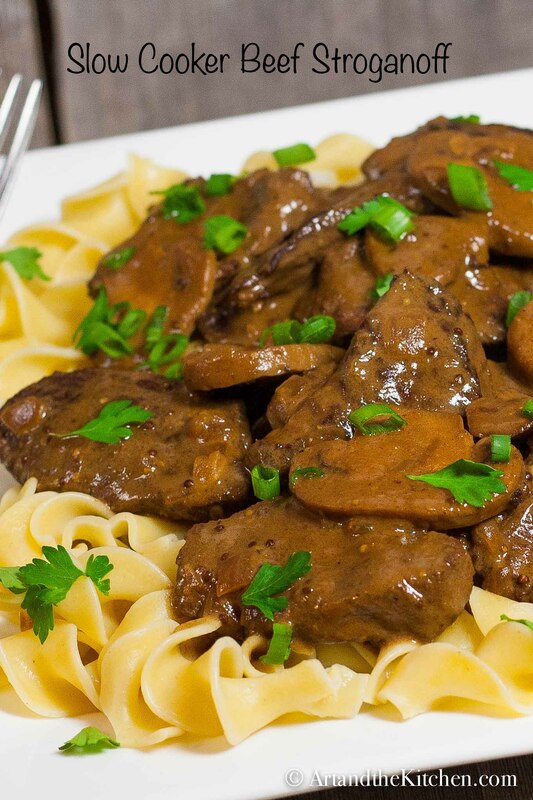 This will be my go to stroganoff recipe. Pairing the left over red wine is always a plus with dinner! Hi Alana, how nice of you to comment, thank you. I am thrilled you enjoyed the recipe. Have a wonderful Holiday Season. I’m on my way home to this recipe right now! I’m so excited!! Thank u for ur post! ? Love to hear back after you have tried the recipe Kelly. 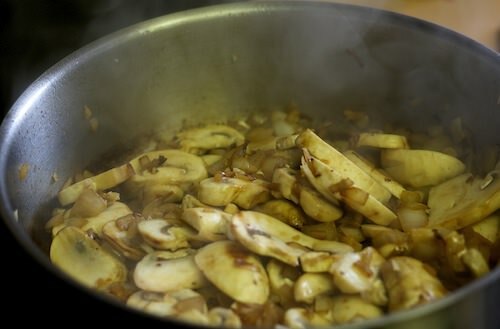 What kind of wine do you use for the beef stroganoff? The recipe looks fantastic! Do you use a pinot red wine or merlot red wine? Another question! Does it matter how thick or thin the slices of beef ? Hi Estelle, I usually use a cabernet sauvignon, but any good full bodied red wine works. I use what I like to drink and have on hand. I slice the meat to about 1/4 inch thickness. Hope you enjoy the recipe.